Halisi Trust is a not-for-profit, Christian organization that believes in transformational development – change from the inside out. Halisi Trust believes that in empowering youth through alternative education they will be providing an opportunity to come together and solve root problems thus inspiring long term values based solutions. The premise of Mkenya Halisi is to process through Scripture the current values that drive Kenyans and then consciously and collectively engage values that would be ideal to facilitate change in their country. In the process Mkenya Halisi hopes to invoke positive, transformational change, for the individual, their neighborhood and then the country. * Corruption – Why pay a lawyer when you can pay the judge? * Tribalism – shallow generalizations, ethno-centrism, a political tool? * Greed – eat all you can, while you can! Unity – The beauty of diversity – our differences are our greatest asset. Corporate responsibility - If Kenya prospers I prosper (Jer 29:7) – working for the common good and generations to come versus working for my own bellies. Equity – what if Goldenberg hadn’t happened? What would Kenya's economy look like right now? Seems so hard to earn a Kenyan shilling – perhaps because there isn’t a level playing field. Mkenya Halisi is about looking at Kenya's current culture and identity straight in the eye, confronting the things that are destructive and embracing values that would lead Kenyans towards an amazing future, individually and collectively. For a number of years, Jude Goatley, one of the key people at Halisi Trust, worked with BHW in Africa. 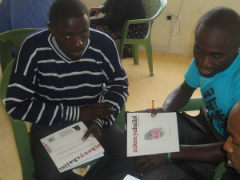 After leaving BHW to study in Nairobi, Jude decided to work with the Halisi Trust to help them get off the ground. She introduced BHW to the Halisi Trust and convinced us that this is a worth-while partnership to be involved with. After a number of visits to the Halisi Trust we decided at the end of 2012 to commence support and think there is real potential to effect change in Kenya and beyond with the resources that are being developed. The beneficiaries here are numerous. 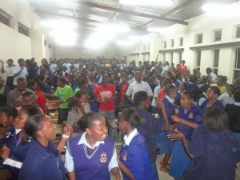 As more of the Mkenya Halisi study books are printed and more courses run, the more lives will be impacted. The programme that has been developed is of high quality and is addressing real issues. It comes from a group of people who are highly committed and who have a strong local support base. They have clear strategies and goals. They also have a good track record and an expanding network of opportunity into the future. It has the potential to become self funding in the future. After studying Botany in Nairobi and spending time in the US, Eda returned in 2007 to a Kenya plagued with post-election violence. She was shocked, and that was despite growing up with Kibera, Nairobi’s largest slum, as her backyard. Coming from a middle-class family and attending school with ministers’ children, Eda was no stranger to the effects of disparity within a single nation. 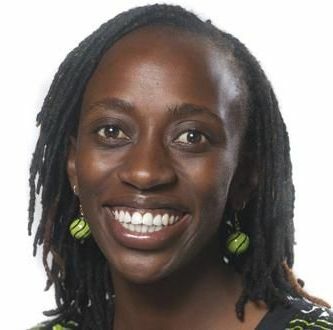 Soon after that the 32-year-old mother of two little boys, founded Mkenya Halisi. 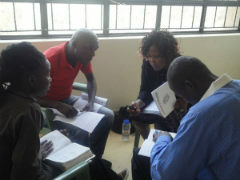 The Christian NGO, whose name means ‘the true Kenyan’, offers a 10-week workbook-based course encouraging participants to discuss the wrongs of local society and ways to make them right. Jude Goatley is a New Zealander living in Nairobi. In the past Jude worked with BHW until she decided to shift to Kenya to study. While there and going to Nairobi Chapel she met the Mkenya Halisi people and decided to remain in Kenya to work with them. She has skills in the area of financial planning and management and brings strong financial accountability to the organisation. To invoke change, for the individual, their neighborhood and then the country by exploring through God's Word the foundations for positive and sustainable development. 1) Challenge the negative expressions of Kenyan culture through the Bible towards positive change in attitude, values and behavior. 2) Empower change agents whose impact is felt in their immediate environment and collectively at a larger scope.